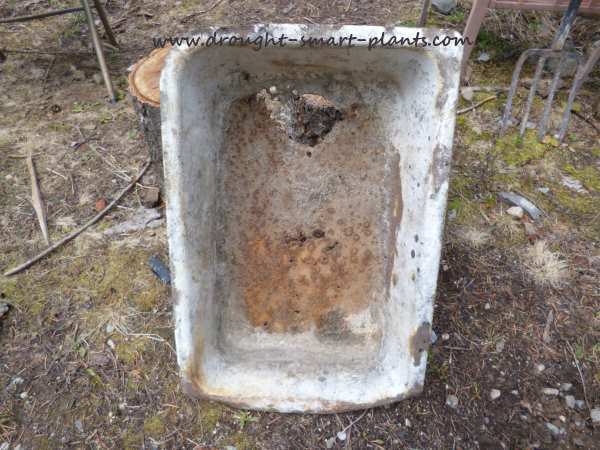 You might find these old enamel sinks, once a common kitchen item, in old fields, garbage pits or stuffed in a corner in a barn. Keep your eyes open; you too could find a diamond in the rough. Dinged and battered, rusted out in the base, abandoned as trash, these vintage pieces just aren't made any more. If you can see what I see, you'll know that it once again can be useful, and a beautiful accent for your junk garden. The metal on these sinks is thick - and heavy. 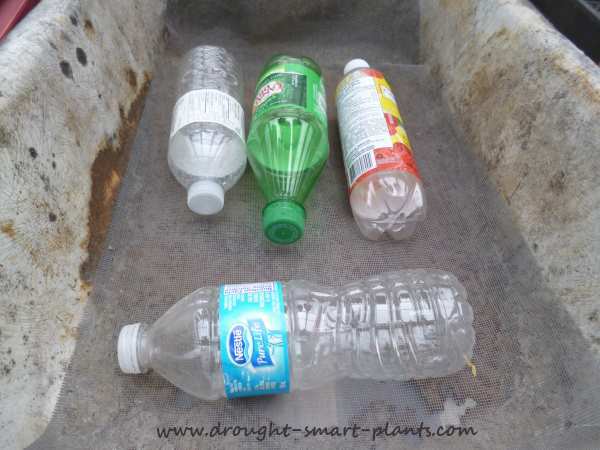 Here's what I saw sticking out of a trash dump - it was a tough slog dragging it out of the creek and up the bank, but once I saw what it was, nothing could stop me from carrying it home. Halfway there, my arm got tired and I had to hide it in the bush and go and get the truck. Filled with soil the rest of the way, and with rocks strategically placed to form a mound, the plants are simply rosettes cut off the growing plant. 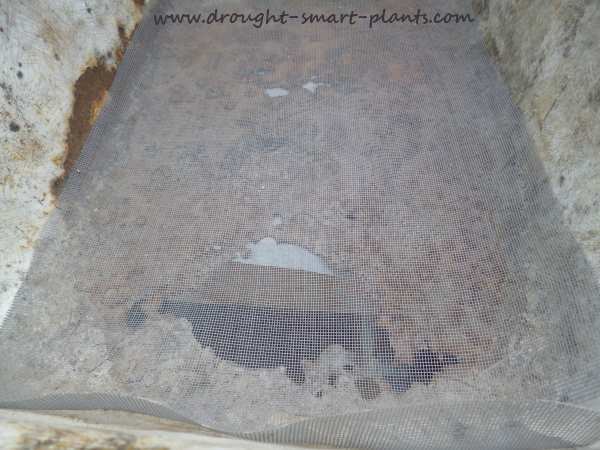 These take a few weeks to root, but that means you don't have to disturb the soil to plant them. Sneaky, huh? 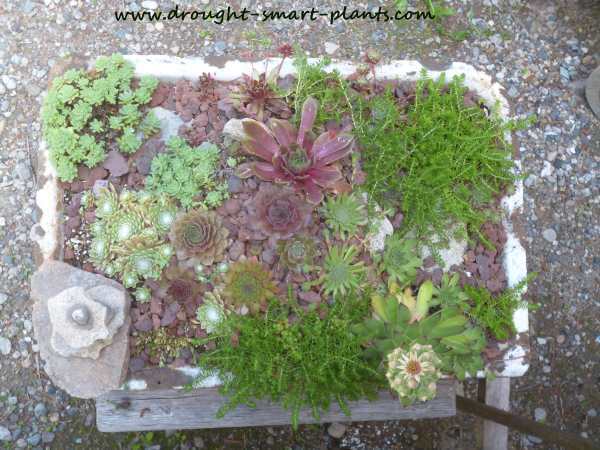 The soil for most succulents can be shallow as they don't have deep root systems. 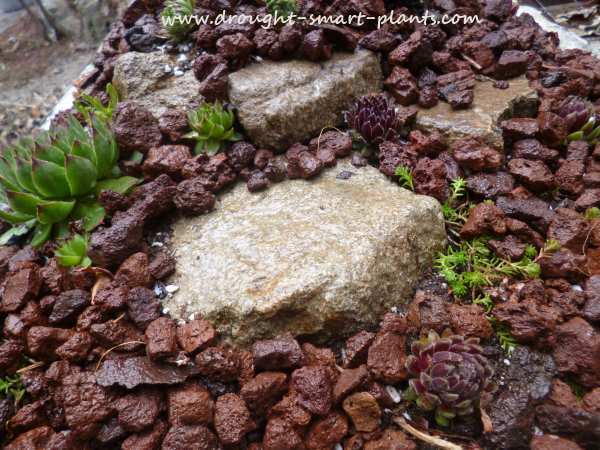 Lava rock or other mineral mulch (pebbles or crushed shale or terracotta pots work well too) hold the soil in place and a bit of moisture. 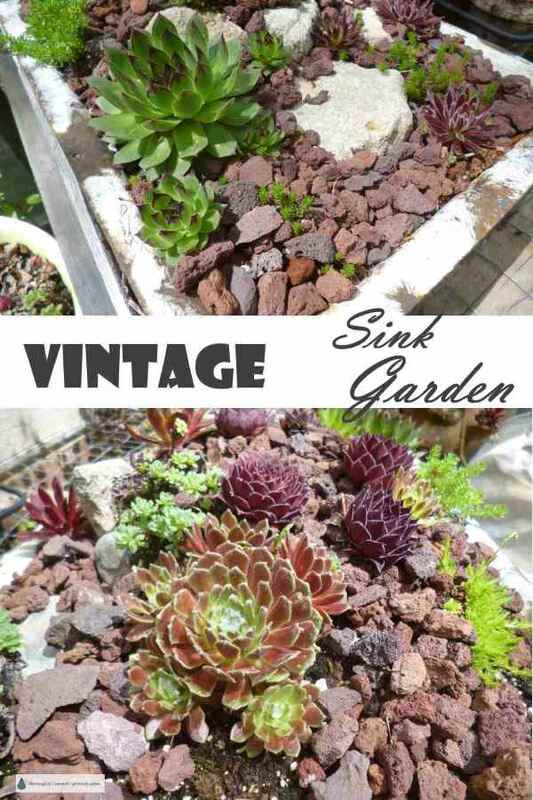 Here is the finished sink garden - now it will take time to get established and the rosettes to root in. 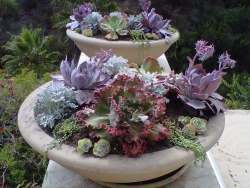 These sink gardens or troughs are best in full sun to partial shade. Important things to remember are that they have to have drainage (not a problem with this one) and in the case of succulents, not too much water, and because of the weight, a sturdy display stand - here, because of the drain pipe that's still sticking out of the bottom I stacked some pieces of lumber scraps. 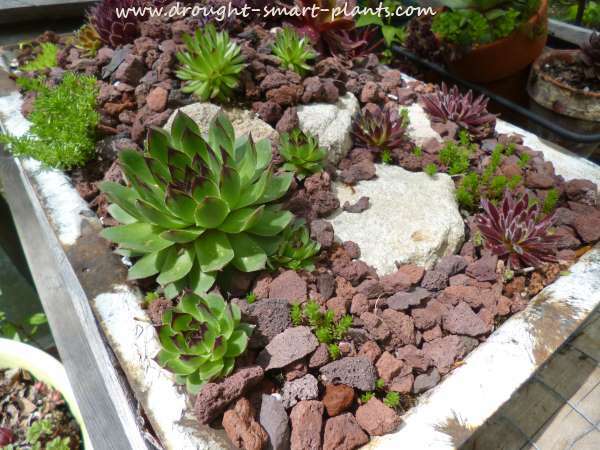 For care, occasional weeding and replacing any plants that die off or flower (in the case of Sempervivum, this is the end of that rosette) and a bit of fertilizer as needed - compost tea works well.